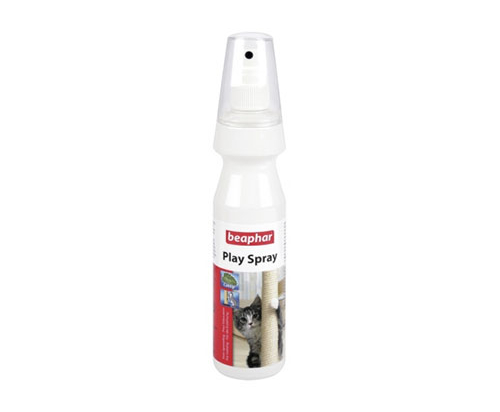 Beaphar Play Spray is not only a training aid for kittens and cats, but also a way to enhance play. For years catnip has been used in toys and cat products by providing an irresistible smell which heightens play and excites your cat. Directions to use: Spray scratching post or other chosen area liberally with Beaphar Play Spray. Praise your cat when he uses the chosen area. It can be used to rekindle your cat's interest in old toys.